This convertible Duffel bag is unlike any of your ordinary bags. 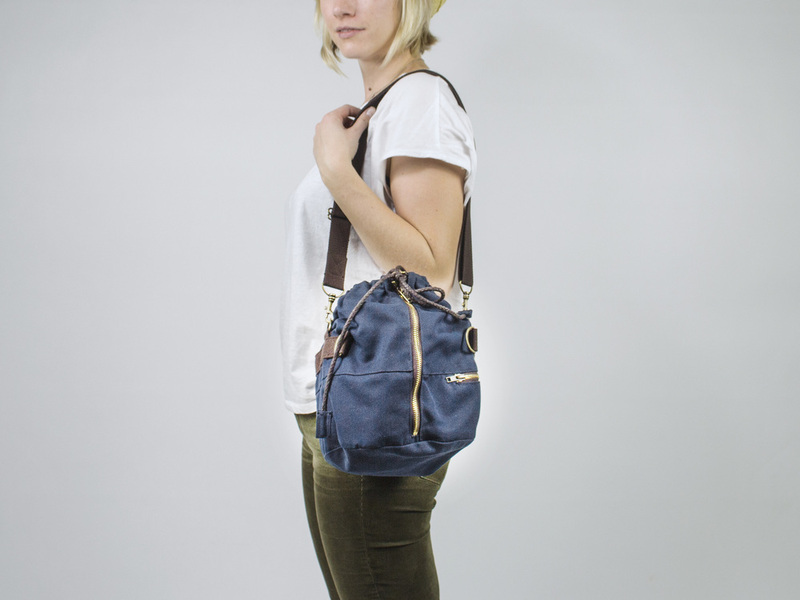 It can easily shift from a roomy duffel to a compact shoulder bag. 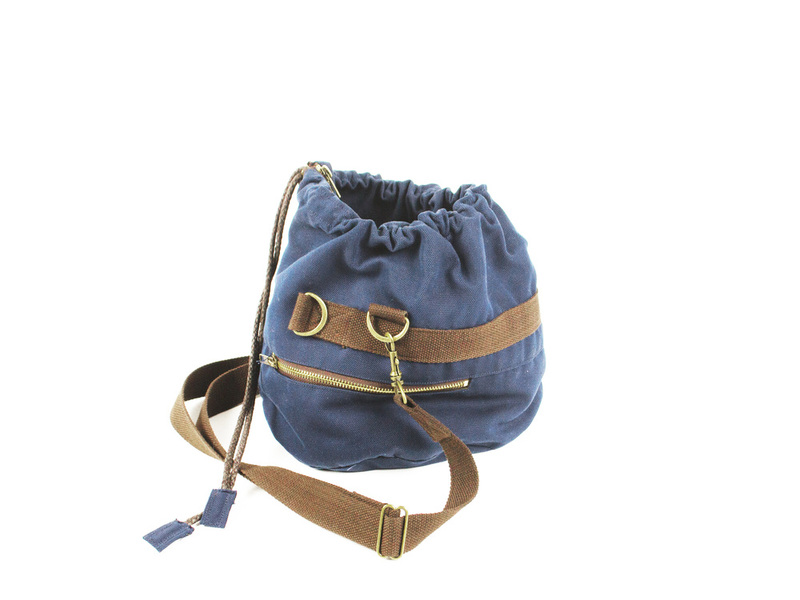 This utilitarian chic bag is made from navy blue canvas and dark brown cotton straps.